An event like the Greeley Stampede requires a lot of hands to get things done. The people of the event that make up our volunteers, affiliated organizations and contract personnel are the heart of the stampede that keep the traditions alive year after year. Over time, there are a few individuals that stand out from the rest. They embody everything that the event represents and have made significant contributions to the success and prestige of the Greeley Stampede. To recognize these individuals, the stampede has created the Greeley Stampede Hall of Fame. The first class of inductees will include Art Parker, the Farr family, Hadley Barrett and Tom Mawson. "We are thankful to everyone that contributes to the success of the stampede," said Justin Watada, general manager and Hall of Fame chairman. "The Hall of Fame members have left a long lasting impression on the event that does not fade." 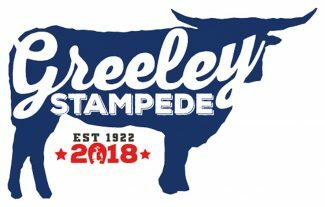 To recognize the Hall of Fame inductees, the Greeley Stampede will be hosting a banquet on May 11 at Zoe's Café starting at 6 p.m. Individual tickets will be $25 or a table of eight for $160. Tickets for the banquet will be available at the Greeley Stampede ticket office located at 600 N 14th Ave. Tickets can also be purchased by phone at (970) 356-7787. Office hours are Monday through Friday, 10 a.m.-4 p.m.